Copyright Â© 2009 by The Berkley Publishing Group. violation of the author's rights. Purchase only authorized editions. is a registered trademark of Penguin Group (USA) Inc.
My thanks to all of you who offered your Cold War experiences. It helped in my own recall to events at sea that never made the headlines ashore. A special thanks and acknowledgment to my editor, Tom Colgan, who came up with this idea to develop a Cold War series. These books bring back a nostalgia for the era when we had an enemy that was easy to find, but hard to kill. Today, with asymmetric warfare (Pentagon-speak for terrorism), we have an enemy that is hard to find, but easy to kill. It has been fun and exciting to write this series and I hope you enjoy it also. My thanks to my agent, John Talbot, who encouraged me in this endeavor and to Tom Colgan's right-hand person, Sandra Harding, who sends such encouraging notes and e-mails. and appreciate your comments, reviews, and critiques. All the best, shipmates. 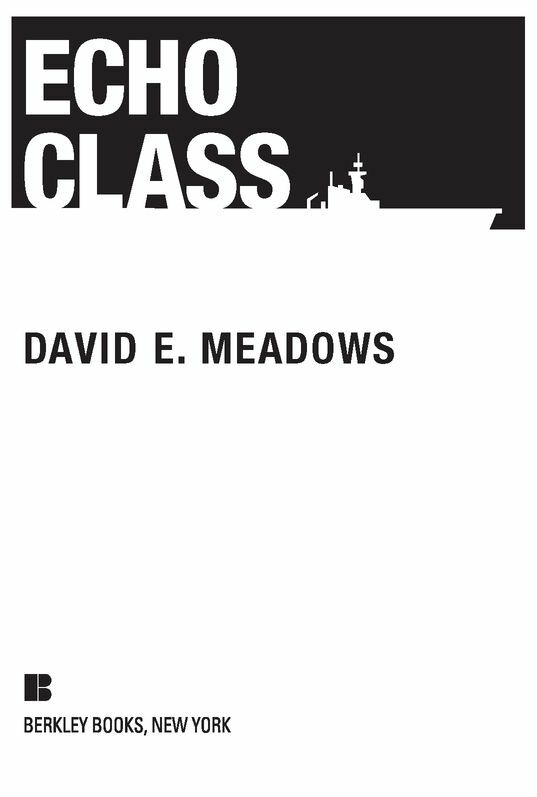 This is the second in a series of novels written to capture the Cold War at sea pitting the United States and its allies against the Soviet Union. The time is June 1967, a few days before the Israeli Air Force would wipe out the Syrian and Egyptian air forces as the Six-Day War erupted. But this is not a story about that Middle East war. The story I want to tell takes place in the Pacific Ocean, far from the events unfolding in the Middle East. It was a watershed year for both navies, with America engaged in the unpopular Vietnam War and the Soviet Union pouring supplies and logistical support into North Vietnam. America had its advisors with the South Vietnamese military, and the Soviet Union had similar advisors with the North Vietnamese. The American Navy had decided that nuclear submarines would make up its submarine force. It still had diesel submarines, but they were on their way out. The Soviet Navy was building nuclear submarines as fast as their shipyards could turn them out, having decided to transition to a full nuclear submarine force. They were also building professional sailors as well trained and patriotic as those in the American, British, French, Italian, and other Allied navies. By June 1967, the Soviet Navy was a global naval power that with the passing of each year further threatened the dominance of the Western navies. It had no aircraft carriers, but like other modern nations that aspire to dominance on the seas it had started with building a massive submarine force to lead the way. Germany did it in World War II. The United States did it when Pearl Harbor left us with only submarines and aircraft carriers at the beginning of the war. The Chinese are doing it today. Countries who believe they stand on the precipice of being a global naval power start with submarines. They don't build aircraft carriers and battleships in today's modern era. They build submarines capable of taking the battle away from their own shores. Submarines are the military canaries of world power. At-sea clashes, collisions, and events are always easier to hide from the public, and many things that occurred between the Soviet Navy and the United States Navy will be taken to the grave by the men and women who served “haze-gray under way” over the horizon from their homelands. During the Cold War, confrontations between the two great powers out of sight of the shore never stopped. Whether it was cutting across the bows of ships to make the skipper take emergency maneuvering actions, or the continuous tracking, targeting, and simulated sinking of each other's naval forces: Things happened. The Cold War is filled with documented incidents of confrontations and events that occurred at sea. And there are many more sea tales and hints of conspiracy in both navies that never made the newspapers of the era. Things happened. Sometimes men died. Sometimes ships and submarines disappeared. The belief that what happened at sea stayed at sea was a half-truth of the Cold War. The seas were where the Soviet and Allied navies looked for ways to flex their navy muscle; where captains and crews thrilled to the race of adrenaline through their bodies, while wondering if this “might be the time,” when an at-sea brushfire roiled across the oceans and trampled across the beaches, inciting a global conflagration. Every incident held that possibility, and it was only through the restraint of both navies' commanding officers and professional crews that this never happened. But let me tell you a little bit about this story. It pits against each other two career navy captains, who must try to figure out what the other is about to do, execute the dangerous orders of their superiors, and complete their missions without starting World War III. The Soviet submarines in the story are the Echo I class K-122 and the Echo II class K-56. Both are real, both existed during this period, both are nuclear, and both have a “real” history you can find on the Internet. While I populate the two subs with characters, rest assured I have no idea who the professionals were who actually manned them.